San Francisco, April 12, 2018—We are excited to announce that we will be sponsoring the Women in Blockchain Hackathon at 1750 Broadway in Oakland, California on April 13–15. 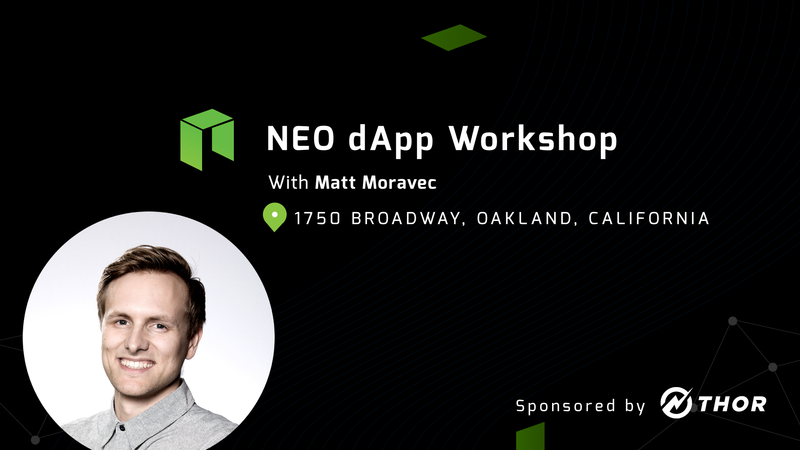 Our very own Matt Moravec will be leading a workshop on building NEO dApps from 2–4 PM on April 14th, any local developers interested in NEO should be sure to attend! All participants in the workshop will be airdropped Thor Tokens, and the team that wins the Hackathon will receive a $5,000 grand prize. The event will be organized by Team Block Society. Other sponsors include Nima Capital, Nurse Token, Uncommon Spaces, Orchid Protocol, Simply Vital Health, Peter Thiel Fellowship, Coral Health, Bloom.io, and Present.co.